A DEWSBURY manufacturer has completed a management buy-out. 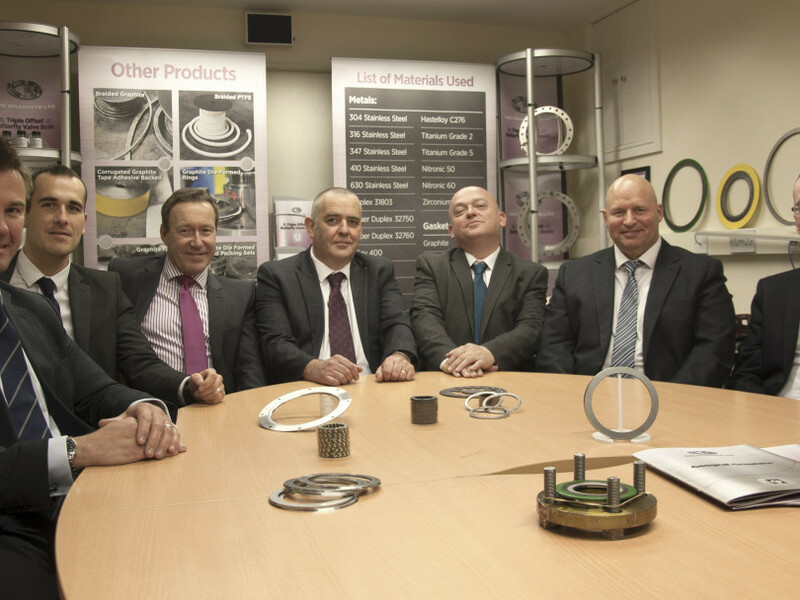 Darren Pearson, Dave Bennett and Steve Pitts have taken the reins at Gee Graphite thanks to backing from a group of organisations, with further growth capital provided through the Northern Powerhouse Investment Fund (NPIF). Based on Havelock Street on Ravensthorpe Industrial Estate, the deal was done with financial support from the Business Enterprise Fund (BEF),working alongside ABN Amro, and assistance from accountants Wheawill and Sudworth and Ramsdens Solicitors. Gee Graphite manufactures graphite products including gaskets for the oil and gas industry at its headquarters, along with offering a subcontract water jet cutting service. The new management trio, who have been with the company for nearly 40 years between them, have combined their industry specialism and intimate knowledge of the business to manage Gee Graphite’s current outlook and implement plans for future growth. “We’re very excited to have completed this deal and have ambitious plans to grow the business,” said Darren Pearson. Following the buyout Gee Graphite approached BEF for further funding through the NPIF to support the business’s growth plans, including the creation of two new jobs. Mr Pearson added: "There’s already scope to streamline our processes, allowing us to compete for further contracts. Gee Graphite’s core offering is very specialist and has been honed for nearly 30 years – with this competitive advantage, we can take the business to the next level. What was Dame Zandra doing in Batley?